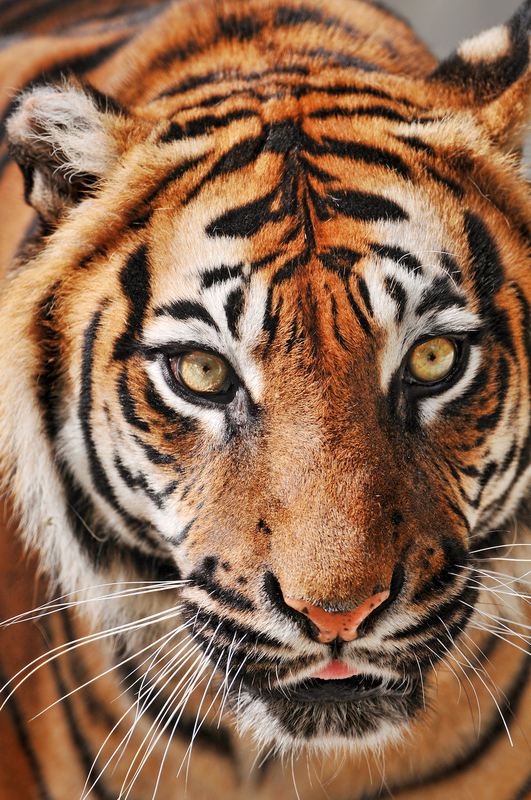 Tigers are one of the most iconic yet one of the most endangered animals. Despite their popularity in books, films and religion, fewer than 3,500 remain in the wild today, due largely to agriculture, logging and infrastructure expansion that’s destroyed 90 percent of their habitat. The good news is that scientists agree that the tiger population can recover as long as their remaining landscapes are effectively monitored and protected. Researchers recently measured  habitat loss in the world’s 76 tiger habitats over the past 14 years using data available on Global Forest Watch . They found that forest loss was much lower than anticipated across all tiger landscapes (roughly 8 million hectares, or less than 8 percent of the total habitat). Thanks to preservation of habitat in countries like Nepal and India, tiger populations in those countries have already increased 61 and 31 percent, respectively. The study, conducted by researchers at the University of Minnesota, RESOLVE, Stanford University, the Smithsonian, University of Maryland and WRI, sheds light on who’s responsible for tiger habitat loss, and points to important measures needed to preserve habitats and increase the big cats’ populations. 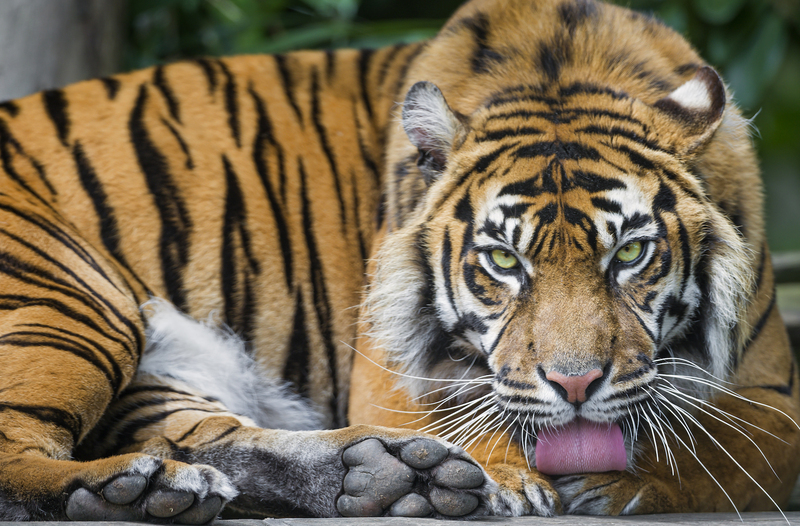 What to do to Protect Tigers? Tigers are solitary by nature and require vast expanses of habitat to survive. One key to ensuring adequate habitat range is protecting and restoring corridors—areas of land that connect large zones of habitat and allow otherwise separated tiger populations to disperse and interact. Habitat loss or gain in these relatively small areas have major impacts on the viability of tiger populations, as demonstrated in Nepal. The Khata corridor in Nepal’s Terai Arc Landscape—an area that encompasses three tiger conservation landscapes critical to achieving the global goal  to double the wild tiger population by 2022—gained tree cover over 2.7 percent of its area in the last 14 years. The gain was in part due to a community-managed forestry program and anti-poaching patrol efforts to protect the habitat and its wildlife. Tigers now use this corridor to travel between Nepal’s Bardia National Park and India’s Katerniaghat Tiger Reserve, which has likely contributed to the impressive increase from 18 to 50 tigers between 2009 and 2013 in Bardia. The population in the Terai Arc Landscape overall also increased 61 percent from 2009-2014. By contrast, the Basanta corridor, also in the Terai Arc Landscape in Nepal, lost some of its forest to encroachment and land clearing and is no longer used by tigers to move to and from the northern forests. Though the loss was small—a mere 0.7 percent—because it occurred in a bottleneck area, it’s effectively severed connectivity between the northern and southern populations in this area and reduced habitat range. View on interactive map . Preventing future loss across all habitats is critical to recovering the tiger population. However, the amount of habitat lost since 2001 was much lower and more concentrated than expected, suggesting that park rangers, communities and policymakers should prioritize the most sensitive areas, like key corridors, for conservation. Findings also show that habitats where large-scale agriculture is driving deforestation are suffering the most. Ninety-eight percent of the total forest loss in tiger habitats was concentrated in just 10 landscapes. Those with the highest percentage of loss were located in Indonesia and Malaysia, where conversion of forest to agriculture is a major contributing factor. The Bukit Tigapuluh landscape in Sumatra lost 67 percent of its forest cover since 2001. Oil palm and wood fiber concessions overlap with 42 percent of this landscape. View on interactive map . Taman Negara-Belum in Peninsular Malaysia had the second-highest loss with 22 percent, likely due to logging concessions, infrastructure and oil palm plantations. View on the interactive map . And Kerinci Seblat in Sumatra lost 17 percent of its forest. Wood fiber, oil palm and logging concessions overlap with 17 percent this landscape. View on the interactive map . WRI research shows that the world will need to produce 70 percent  more food calories in 2050 than it does today to feed a growing population. Much of that demand will be met by commodities like palm oil. Strong forest management practices will be critical to balancing agricultural expansion so that it happens on already degraded lands  and doesn’t cause damage to intact tiger habitat. The findings are as cautionary as they are positive. If done right, the world has enough intact habitat to support doubling or evening tripling the tiger population in the coming decades. Lower-than-expected loss in the Tiger Conservation Landscapes shows that progress is possible, but we can’t afford to lose any more. The habitat lost since 2001 could have supported 400 tigers—with just 3,500 remaining in the world, every tiger counts. A Sumatran tigress licking her paw. Source: Tambako The Jaguar (Flickr ). These efforts will be enabled in large part by near real-time forest change data  available on Global Forest Watch. Monthly and weekly tree cover change data can help park rangers and communities build off this research to continue monitoring the most at-risk habitats, and take action to stop forest loss before it affects tiger populations. To see forest change in tiger habitat, visit the interactive GFW map here .